Now in its glorious second annual presentation, Terence Towles Canote of A Shroud of Thoughts hosts the Favourite Television Episode blogathon running from March 25 to 27. Click HERE for the contributors. In its glorious second season Maverick (1957-1962) received a Primetime Emmy Award for Best Western Series, the first and only time the Television Academy presented that award in an era where westerns glutted the small screen landscape. Writer and producer Roy Huggins created Maverick to be the snide opposite of his successful and more traditional western Cheyenne starring Clint Walker. Whether the Academy got the joke or not is up for debate. 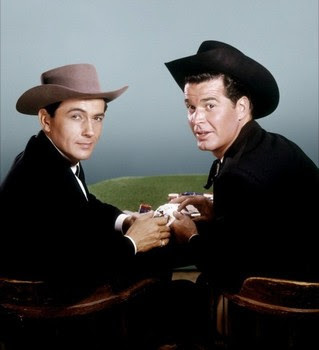 Legends of the West, Bret and Bart Maverick roamed the TV west with a deck of cards and a ready wit; conning con men, romancing pretty Warner's contractees, and being generally adventurous. In a tight spot ,they would quote the larcenous philosophy passed down by their "old pappy". 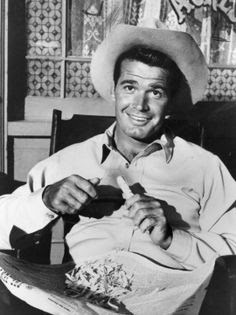 James Garner starred as Bret, and when the demanding schedule of the enormously popular program proved too much for one actor, Jack Kelly was signed as Bart. Both actors of charm and skill, fans were most delighted when a script called for the two sharing the spotlight in an episode. Such an episode is Shady Deal at Sunny Acres written by Roy Huggins for that award winning second season and directed by Les Martinson, who turned 101 this past January. Martinson's career in television dates back to General Electric Theatre in the 1950s through The Roy Rogers Show, Conflict, all of the Warners programs of the 50s and 60s including 18 episodes of Maverick, Ironside, Mannix, The Six Million Dollar Man, Barnaby Jones and practically anything you ever watched. "If you can't trust your banker, who can you trust?" Fate and the friendly laws of probability have been kind to Bret Maverick. In a crowded saloon on a warm evening, his pocket is $15,000 richer than when he entered the establishment. Overcome with a sudden case of discretion, Bret prevails upon a local banker, one Mr. Bates, to open his premises for the safe storage of his funds. Bret sleeps well that night with Mr. Bates' receipt tucked in the Maverick wallet. The next day Bret's request at the bank for a portion of his funds is met with a blank stare from Mr. Bates who claims never to have seen the gambler before. The signature on the receipt is an obvious forgery, as attested to by the honest banking partner, Mr. Granville. That Maverick fellow is up to something. Yes, he is. Bret pays for two weeks rent on his hotel room and announces that when he leaves town he will have his purloined $15,000. He then perches comfortably in a rocking chair on the front porch of the hotel and whittles. When townspeople, who find the whole affair rather amusing, ask how he will get his money back Bret smiles and says that he is "working on it". 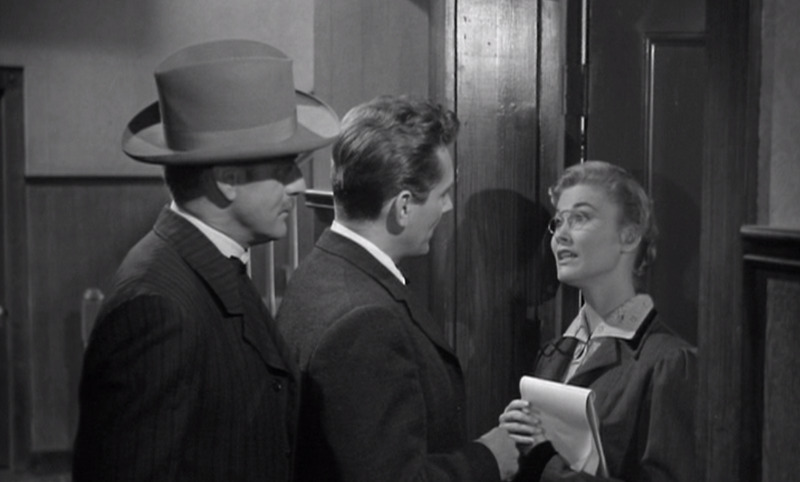 If, in the usual course of a Sunday evening (Maverick's original air date), it was a treat to have both Maverick brothers on hand, imagine the delight the first time this episode aired with a plethora of recurring characters audiences had become familiar with all coming together (Avengers Assemble!) for a perfect sting. Bart Maverick arrives in town under the name of Bartley J. Mansfield III, representative of British investors and a private stock speculator. Thus Bart gains the confidence of the greedy John Bates, and with expert and willing performances from the slickest con artists this side of the Rockies, Bret does indeed leave town with his $15,000. 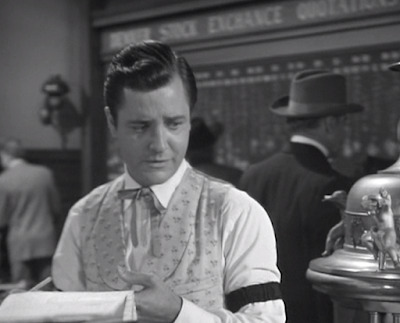 The honest banker becomes the only banker in town, Bates sits in the hoosegow contemplating his downfall, and Bret rarely got up out of that rocker. Fans of classic character actors are treated with more familiar faces than they can shake a stick at in this episode. Along with the great John Dehner as Bates ,we have Regis Toomey, Karl Swenson, J. Pat O'Malley, Irving Bacon, Syd Salor, Jonathan Hole and Earle Hodgins. A genuine treat from beginning to end. As my old pappy used to say, "You can fool all of the people some of the time, and some of the people all of the time, and those are very good odds." This is my favorite Maverick ep too! Unbeatable. I have seen it at least a dozen times, and never tire of it. I once named a cat after Bart's pseudonym here, Bartley J. Mansfield III. Oh my, we quoted this all the time when I was a kid. "Mansfield, you're being hoggish. Might I even say... greeeeeeeeedy?" Oh my, you sounded just like Dehner! What a fabulous name for a cat! All of our family felines have been named after movie/tv characters or entertainers. It's a thing. I really am so fond of Dehner :-D He never fails to amuse me! Our cats and dogs were pretty much all named after fictional characters of one sort or another :-D It was totally a thing for us too! Dehner really is the best. In fact, I'm surprised one of our cats hasn't been named for him yet! I must admit, my only "Maverick" knowledge is the film with Jodie Foster and Mel Gibson, but this show sounds fantastic, I love old Westerns I will have to give this a go! I don't feel like I'm overstating the fact that you should totally love "Maverick". It has a wickedly humourous style that never wears out its welcome. I've never seen even one episode of Maverick. Never been near a TV when it was on, I guess. 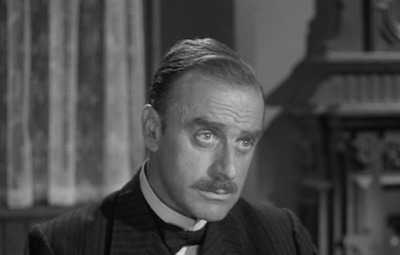 I have seen John Dehner in several TV shows, including "The Andy Griffith Show" where he was a unscrupulous snake-oil salesman. No! You have to fix that right away. If you like westerns, you'll like "Maverick". If you don't like westerns, you will still like "Maverick". It's just that kind of show. Plus, you can go on a John Dehner treasure hunt for the five episodes in which he guested. 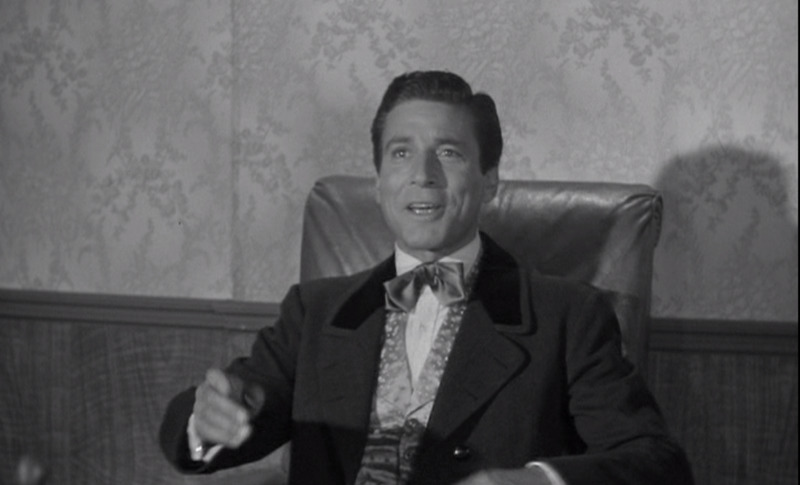 Zimbalist looks like he is having a blast playing Buckley. If I had to choose one favourite TV show, it would probably come down to "Perry Mason" or "Gunsmoke", and this "Gunsmoke" fan thinks "Gun-Shy" is a hoot. Great review. Those TV westerns in the 1950's and 1960's were an art form all their own. It's nice to see your appreciation of The Maverick, which doesn't get revived as much as Gunsmoke or Bonanza. I'm surprised "Maverick" doesn't get out there more often. 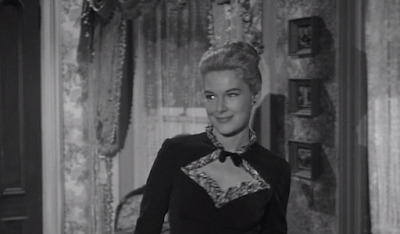 James Garner is such a popular actor and this is the show that started his career. Although, there is something to be said for being a buried treasure - people appreciate you all the more once they find you. It is an outstanding episode and just a whole lotta fun. I know you'll enjoy it. 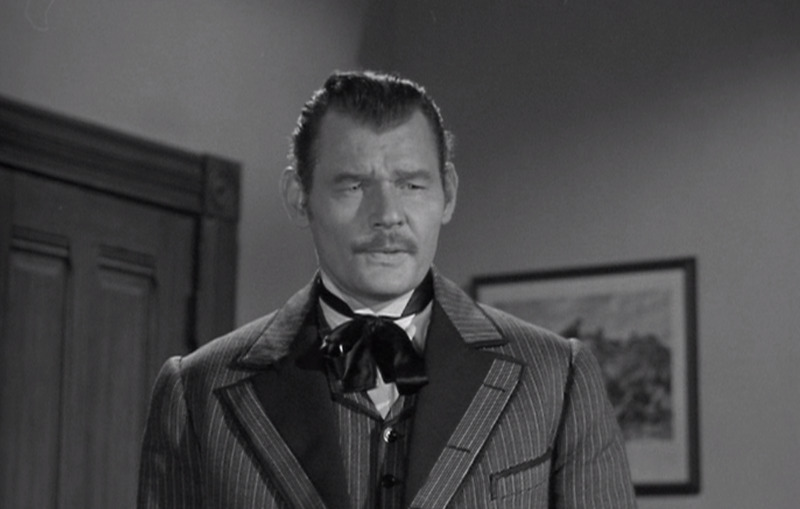 Maverick may well be my favourite all time Western besides Have Gun--Will Travel and "Shady Deal at Sunny Acres" is my favourite episode besides "Gun Shy" (in fact, I very nearly wrote about "Gun Shy" until it occurred to me that we needed more British entries in the blogathon). One of the things I love about this episode is that pretty much every recurring character on the show appears! It is great seeing Dandy Jim and Samantha Crawford in action. Maverick does have a cult following (I know several fans besides myself), but I do wish it was better known among the general public. It really does deserve to be as well known as Bonanza or Gunsmoke. Anyway, very well done post! Thanks for participating! I love talking about "Maverick" with fans, and turning newbies onto the show. Fair warning: I'm already thinking about next year's post! Goodness, this looks like fun. And what a supporting cast—how did they fit 'em all in? Fun it is indeed. Everybody gets a bit, though except for Dehner, they don't get to hang around too long. Enough to, as the old adage goes, "leave you wanting more". What a terrific guest cast! 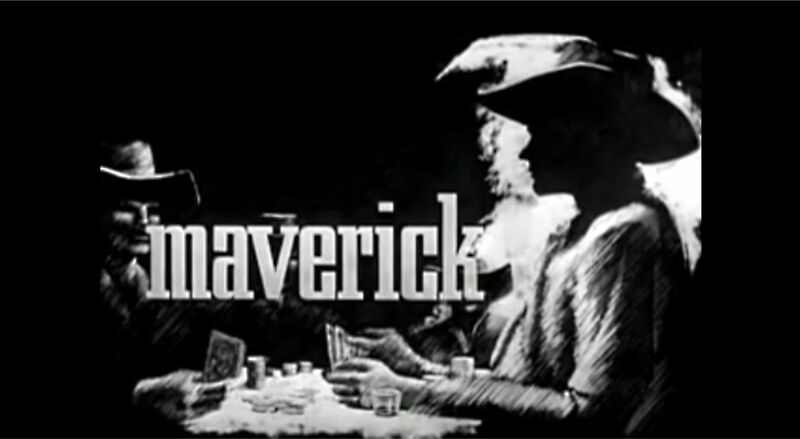 This is my second favorite MAVERICK episode, topped only by the "Gunsmoke" spoof "Gun-Shy." Wonderful choice for this blogathon! "Gun-Shy" was wickedly funny. I love "Gunsmoke" so much that I almost feel disloyal for also enjoying "Gun-Shy". Don't remember this one, Pat, though it does ring a vague bell. What a great cast, indeed. I do, however, remember watching MAVERICK regularly alongside CHEYENNE and GUNSMOKE and LAWMAN and THE RIFLEMAN and a whole bunch of others. I was a western fiend when I was a kid. I believed all that stuff. Ha! I believed it too. Love the western cycle. If you were an actor in the 50s/60s, you had to know how to ride a horse. The next generation had to be open to prosthetic make-up for sci-fi characters.